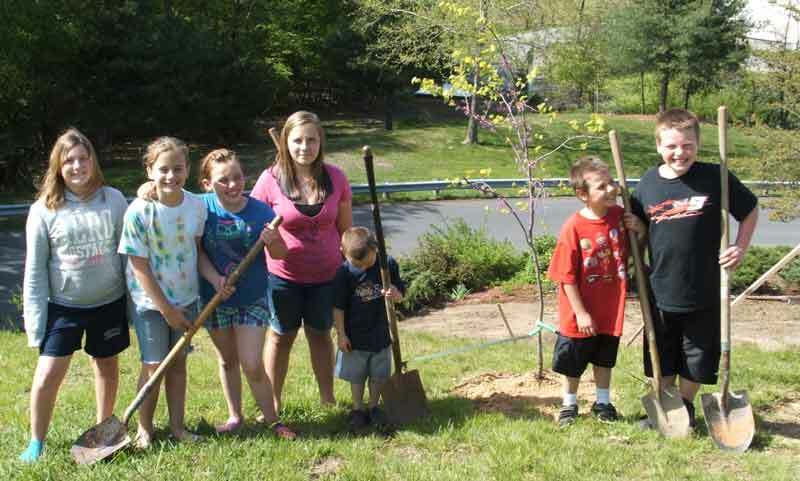 The Grant County Housing Authority (GCHA) was awarded 12 shade trees to plant at one of their community housing projects in Grant County, WV. Onsite maintenance staff worked on the site in preparation for the planting of the trees to augur the holes. Several school-aged children from the community volunteered over multiple evenings to assist with planting the trees. It was a very good planting and provided a unique opportunity for the children to unwind after a hard day at school and make their community better. Onsite maintenance staff will monitor the rain fall and water the trees as needed. They were assisted throughout the process by CTree Liaison Carla Hardy of the Potomac Valley Conservation District.